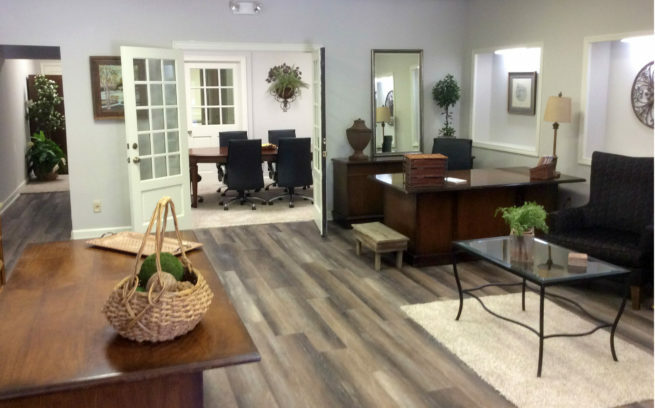 Alpha Reporting is pleased to announce the completion of their remodeled Jackson, Tennessee office. Clients can have all their services and needs fulfilled in a stylish, comfortable location. The office now includes two spacious, beautiful conference rooms, WiFi, copying and printing, videoconferencing and teleconferencing, and free parking. Alpha Reporting’s Jackson Location is conveniently located nearby both the state and federal courthouses. For more information on Alpha Reporting and their services, visit alphareporting.com.